so I have loved you. Remain in my love. and remain in his love. and your joy be complete. as I have loved you. than to lay down his life for his friends. if you do what I command you. because I have made known to you everything I have learnt from my Father. anything you ask him in my name. This gospel is like a vision statement or a mission statement from Jesus. About finding joy in listening to Jesus, how to live the good life in love one another, how to love oneself in the love of God, and in directing our lives to bear fruit that will last. It’s a vision of love, call and service. It is so central that it is read at many really important moments of a christian life. It is one of the most popular readings at a wedding, linking the love of God and human love at such a special time. Jesus’ love was to lay down his life in a specific way. Our love lays down our life often in small, unforgotten ways. Hours spend with a sick child or parent, years caring for someone ill, leaving home on missionary assignments; giving up something for children. The message is a big challenge in simple ways for most of us. Isn’t it a joy to know that the most enjoyable mystery of life – love, is the biggest commandment of God. It shows us that God is on our side. His commandment is to do what we want most to do and experience – to love and be loved. Even when the love costs us something. Can we sing/say Alleluia to that? 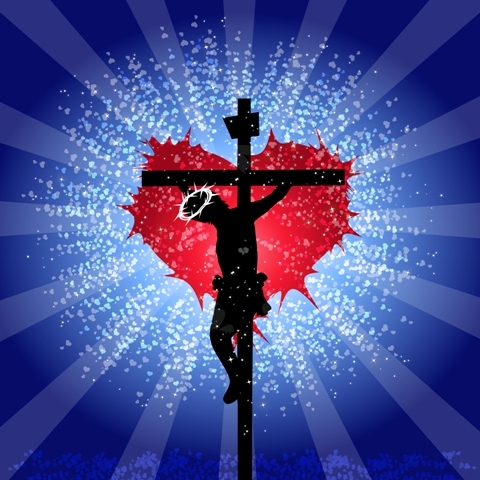 This entry was posted in Gospel of John, Gospel Reflection, Liturgy Resources, Prayer Resources, Scripture, Year B and tagged 6th Sunday of Easter Year B, Donal Neary SJ, Gospel Reflection, Jesus, John 15:9-17, Love, Love of God, Love one another as I have loved you, May 10th 2015, Mission Statement, Sunday Scripture and Reflection for 10th May 2015.